.nrw is a new geographical TLD proposal submitted by Top Level Domain Holdings Ltd. (TLDH) on behalf of the German state of Nordrhein-Westfalen. The back-end registry services has been sub-contracted by Minds + Machines to Knipp Medien und Kommunikation GmbH, a domain registry service provider based in Nordrhein-Westfalen. 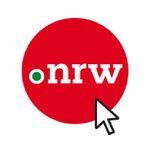 .nrw is a new geographic top-level domain targeted to North Rhine-Westpahlia businesses, brands, and individuals. There are no nexus requirements to register a .nrw domain name. The company aims to offer the people, businesses and organizations of North Rhine-Westphalia, as the most populated state in Germany, the chance to associate themselves, their products or services with North-Rhine Westphalia. "The Internet name space is becoming increasingly overcrowded and reasonable or relevant domain names for registrants and registrants’ businesses are scarce goods. Germany especially, as one of the healthiest economies worldwide, will profit from the expansion of the gTLD market, as the German ccTLD, .DE, is the most sought-after top-level domain of its kind (www.denic.de⁄en⁄background⁄statistics⁄international-domain-statistics⁄). Almost 15 million domain names are already registered under the .DE top-level domain, meaning most of the desired domain names are already registered or priced at levels unaffordable for most. The new geographic top-level domain .NRW for the German state of North Rhine-Westphalia will cater to the need for a stronger online presence of the region for the benefit of its population and businesses. The goal of the .NRW top-level domain is to establish itself as the recognized choice for registrants who want to market and promote themselves and their websites to, and reach, the Internet-using public, for business, political, personal or any other purpose, through an association with the state of North Rhine-Westphalia; and, as the recognized top level domain name for Internet consumers to look for, to know which people, businesses, information sources or other online resource associates themselves with North Rhine-Westphalia or are trying to communicate with them. North Rhine-Westphalia is the most populated and, at the same time, most densely populated state in Germany, with 17,8 million inhabitants. 36% of Germany’s large cities (29 out of 80) are located in the region of North Rhine-Westphalia. North Rhine-Westphalia has the highest GDP--543 billion in 2010--in Germany and therefore is one of the economic and industrial centers of the nation (http:⁄⁄www.nrwinvest.com⁄NRW_at_a_glance⁄index.php). This number accounts for more than 20% of Germany’s total GDP. North Rhine-Westphalia’s purchasing power also ranks amongst the highest in Germany, which makes it a highly desirable place for business (http:⁄⁄www.welt.de⁄wirtschaft⁄article13763660⁄Hier-leben-die-kaufkraeftigsten-Deutschen.html). 74,4% of North Rhine-Westphalia’s population (as of 2011) uses the internet on a regular basis, with a strong upward tendency, making a geographic top-level domain for the region, such as .NRW, ever more important (www.initiatived21.de⁄wp-content⁄uploads⁄2011⁄07⁄NOnliner2011.pdf). Provide all those interested, who are from or have any relation to North Rhine-Westphalia, with a convenient and recognizable domain name that associates them and⁄or their information with the state of North Rhine-Westphalia. Provide all those interested, who are from or have any relation to North Rhine-Westphalia, a means of disseminating or seeking information about the issues, news, culture, lifestyle, entertainment, sports or any other topic having to do with North Rhine-Westphalia. Assist all those interested, who are from or have any relation to North Rhine-Westphalia, in selling or purchasing goods or services of any kind, or providing information, with a convenient and recognizable domain name that associates them and⁄or their goods or services with North Rhine-Westphalia. Provide a top-level domain name that provides an identifiable means of communicating with people, organizations and businesses that associate or identify with North Rhine-Westphalia. Provide the Internet-using individual, who is from or has any relation to North Rhine-Westphalia, with an additional choice of available domain names at a competitive price. The promotion of North Rhine-Westphalia, its issues, causes, interests, perspectives, positions, policies, supporters and admirers by making domain names ending in .NRW available to all those who are from or have a relationship to North Rhine-Westphalia, who may want to use such .NRW domain names for their own political, business, personal or other legal purposes. The promotion of North Rhine Westphalia by having information of any and all types and for any and all legal purposes available and disseminated from websites and email addresses ending in .NRW for the registrants’ and users’ own purposes having a relationship to North Rhine-Westphalia. The promotion of North Rhine-Westphalia by allowing businesses, not-for-profits and individuals with a relationship to North Rhine-Westphalia to associate their products, services, information and selves with North Rhine-Westphalia. To allow people and organizations from or with a relationship with North Rhine-Westphalia, to promote their association or identification with North Rhine-Westphalia on the Internet and in emails. To provide an identifiable means for people, organizations and businesses from or with a relationship to North Rhine-Westphalia, to communicate with those who associate or identify with North Rhine-Westphalia. To increase the number of people and organizations from or with a relationship to North Rhine-Westphalia that publicly identify themselves via the Internet with North Rhine-Westphalia through their use of .NRW domain names and email accounts by making such .NRW domain names affordable and readily available (subject to compliance with the rules governing .NRW discussed elsewhere in this Application). The company will implement a registration policy for the .NRW top-level domain in the interest of the North Rhine-Westphalian population and its government. Only Internet users from or with a relationship to North Rhine-Westphalia (e.g. a place of business or residence) can register their own .NRW top-level domain. The .NRW top-level domain is targeted solely at the North Rhine-Westphalian business community and population. Nevertheless the registration procedure will be done in a transparent and non-discriminatory way. This intention ensures the accomplishment of our goal to support the population, organizations and businesses of North Rhine-Westphalia. At the same time, Internet users will gain the certainty that the content, product or service offered on the website has a close relationship to North Rhine-Westphalia." On November 21, 2013 TLDH received a Registry Agreement signed by ICANN for .nrw after passing the Initial Evaluation. This page was last edited on 15 November 2017, at 23:23.